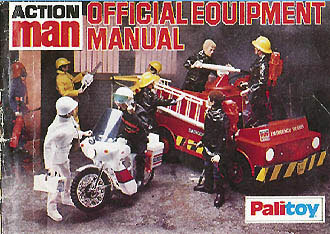 Action Man Official Equipment Manual No12 (1978). Pages are shown as pictures. Please click on a page number to view that page. If searching for a picture of a certain uniform, a Uniform Period Chart will help you find the uniform/clothing and Equipment Manual it appears in, and year of availability.